The sun shines bright on my old Kentucky home! Celebrate Derby Season with a bright and cheery scene at one of the most beautiful and famous spots in Louisville! 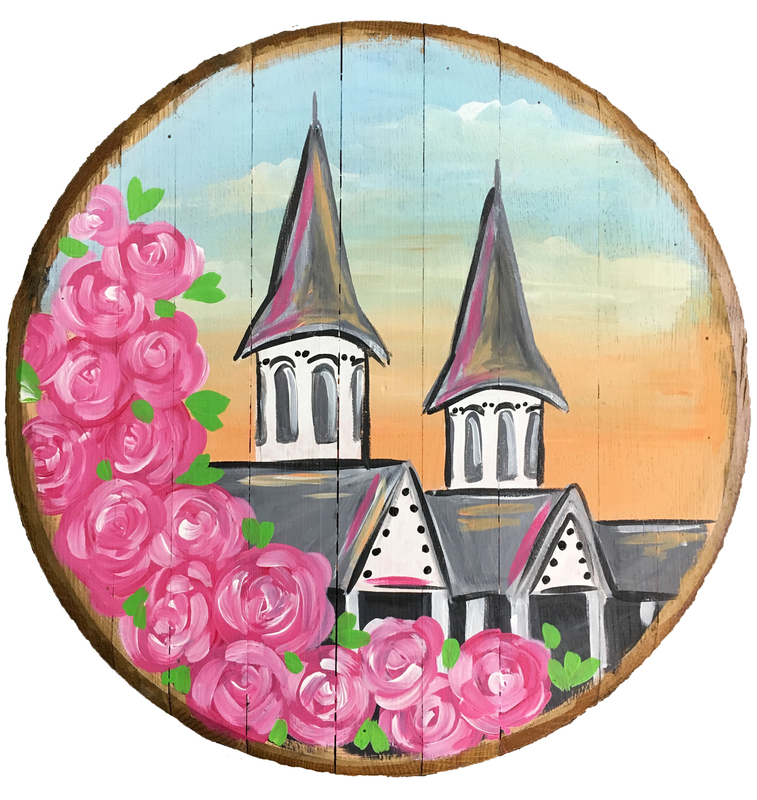 Paint this Derby scene on an authentic bourbon barrel head, or feel free to get creative with your own design (family tree, fleur de lis, etc.). These can be displayed as a unique and rustic conversation piece in your home, or they make wonderful gifts! The possibilities are endless! It's a Sunday Mimosa Matinee! Enjoy $15 Bottomless Mimosas or $8 Bloody Mary's.